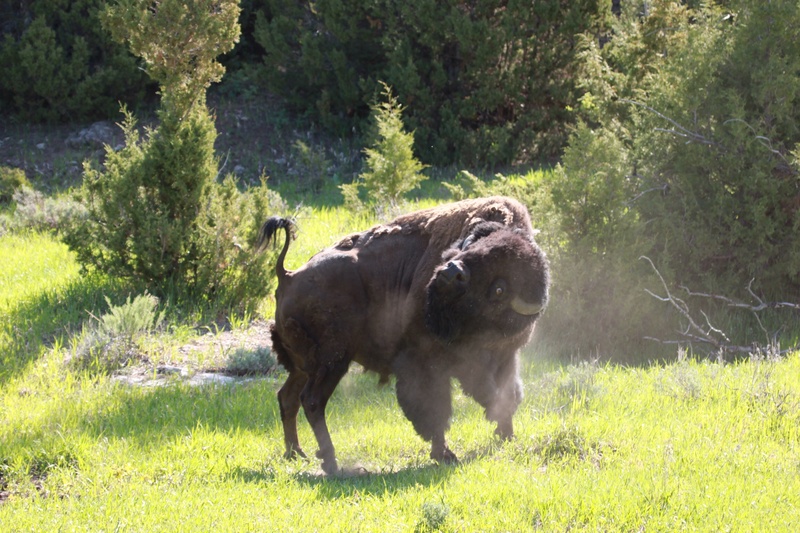 I have moved on to my wildlife photography trip round Yellowstone. I flew to Bozeman, Montana via Denver. Denver is a huge airport, but Bozeman airport was just what I had pictured, a small airport that looks like an overgrown log cabin, populated with people in cowboy hats. In Bozeman I joined my guide and an older couple from Florida and we drove to the tiny town of Gardiner where we are based. It is right at one of the entrances to the park. 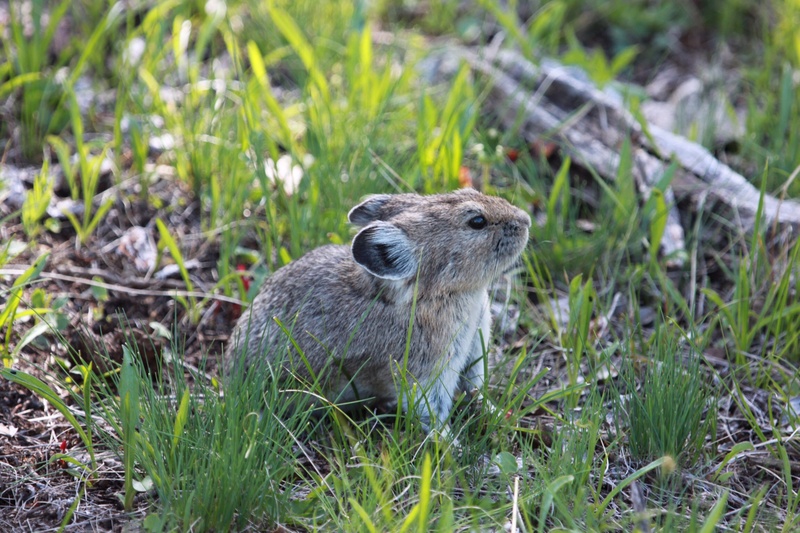 On the first day, which was beautifully warm and sunny, we saw lots of elk and bison, but also a small and very sweet pika. These are almost perfectly camouflaged against the rocks they live in, and are hard to spot if they are not moving, but one fearless fellow posed neatly for us on the grass. We also saw a beautiful coyote. This is a much prettier animal than I had imagined. 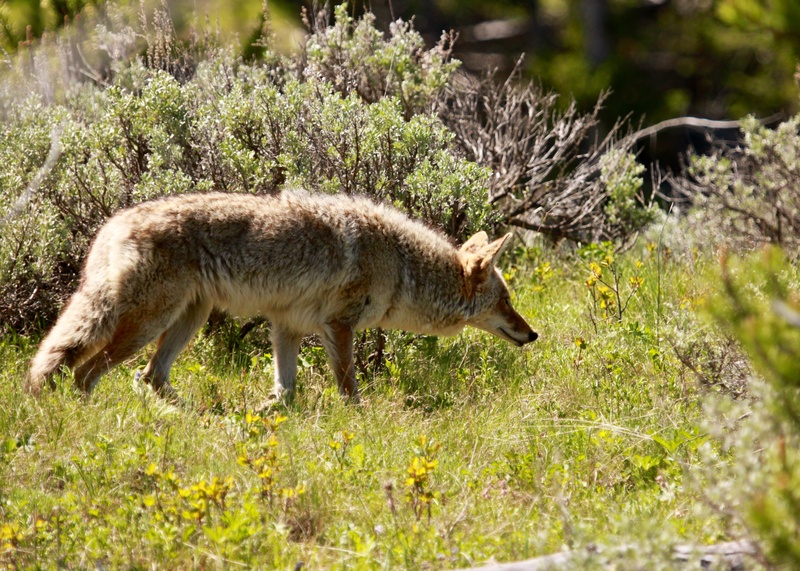 To photograph the coyote, we leapt from the vehicle and stood just metres away. He ignored us, intently watching something we could not see. 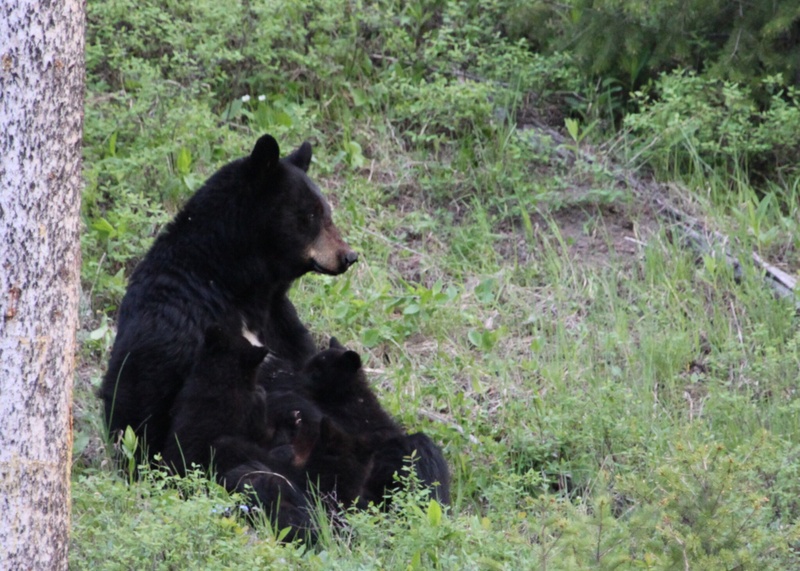 A long wait for a black bear and her three cubs yielded dividends when she arrived not far from where we were waiting with about twenty other people armed with telephoto lenses. We were able to park and see the mother and two cubs about 60 metres up a hill from where we stood, in a long row of telephoto camera lenses at the side of the road. 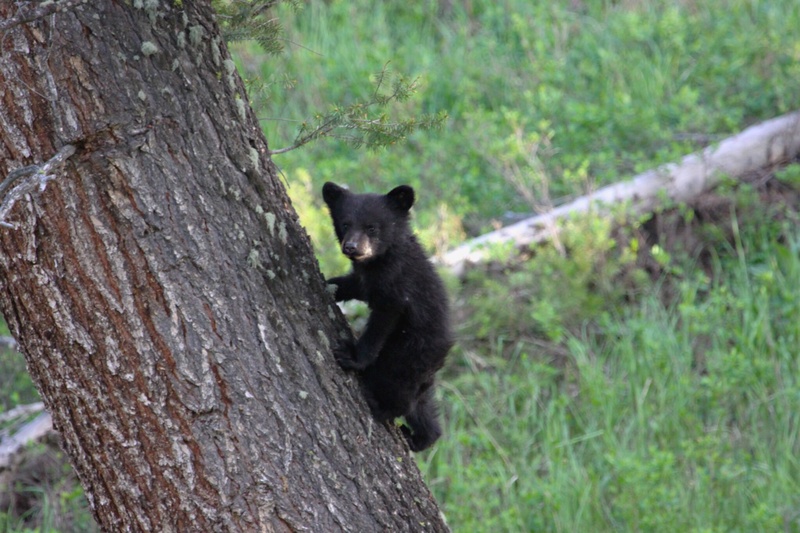 We watched as the cubs played, climbing trees and tumbling down logs as their mother fed. Suddenly she moved down the hill, charging towards the throng of photographers, who hastily grabbed tripods and retreated. A young ranger was there, armed with pepper spray trying to keep everyone back and stop any passing cars from blocking the road. Satisfied that she had given everyone a good scare when she pulled up about 15 metres short of where we had been standing, she then posed for photos before dashing off to one side to retrieve the missing third cub. She then sat to calmly feed her three babies until she had had enough, standing to abruptly shake them off and resume her own foraging. 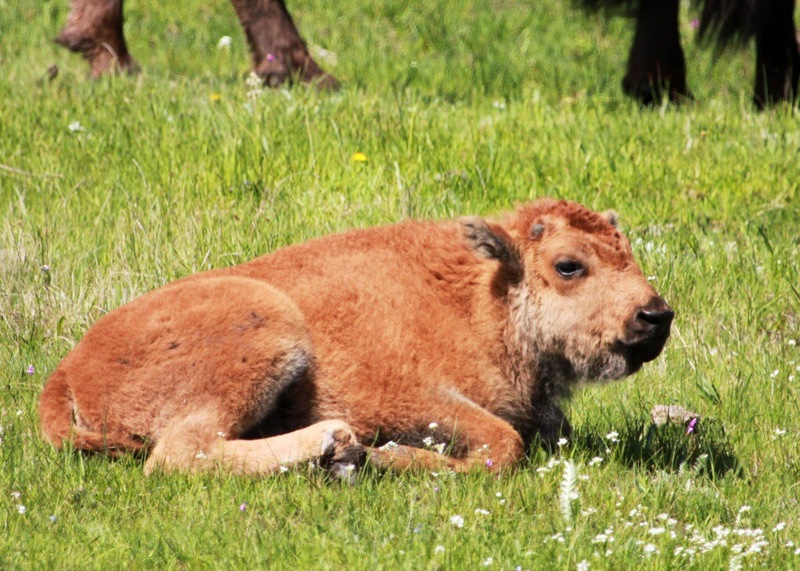 This entry was posted in Yellowstone on 03/06/2014 by paulaclarke. Reblogged this on Island Park Services.